VALLEY VILLAGE (CNS) - A section of the Ventura (101) Freeway in Valley Village was shut down for more than four hours on Saturday to allow crews to clean up at least 75 gallons of fuel that spilled from a cement truck when it rolled over. 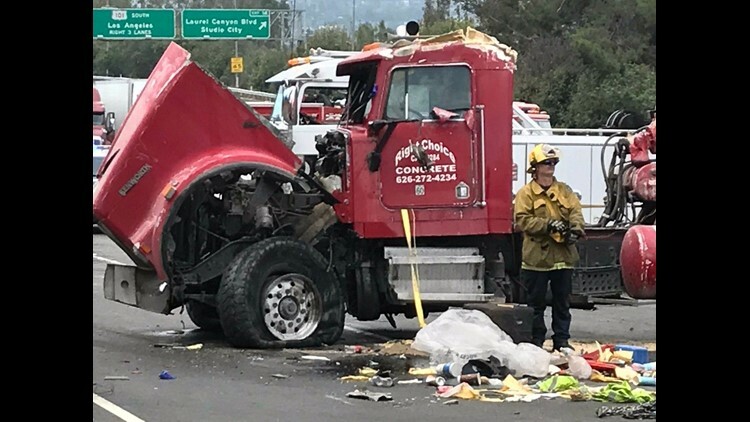 There were no reported injuries from the crash on the westbound freeway at Laurel Canyon Boulevard, said Margaret Stewart of the Los Angeles Fire Department. Firefighters and paramedics were dispatched to the location at 9:23 a.m., Stewart said, where some of the fuel made its way into the storm drain. A SigAlert was issued at 9:37 a.m. closing all lanes of westbound traffic and canceled at 2:15 p.m., according to the CHP.